Your children will learn as they copy the words on these printable spelling worksheets. 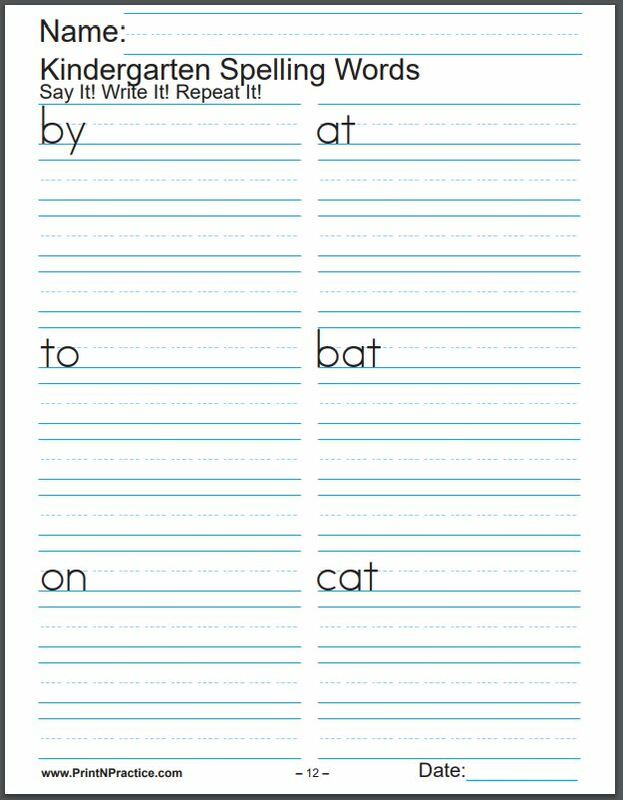 Printable spelling worksheets help ensure that your children copy the words correctly when they're doing their spelling practice homework. Help your children get the habit of spelling well. 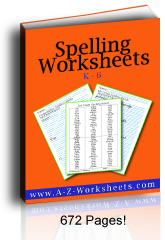 These K-6 spelling worksheets offer your kids practice spelling words three times each. Each level has a spelling list of grade appropriate words. K-3 levels have larger line spacing and manuscript. Grades 4-6 levels have smaller spacing and cursive writing. Some words have expanded spellings so your children learn affixes at the same time. Print and reprint as often as your students need practice. 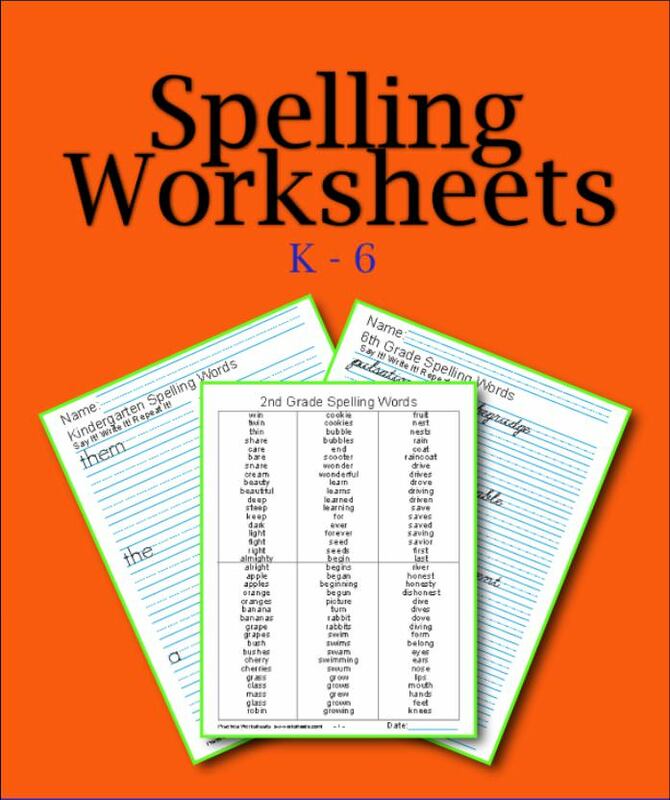 Contains 672 pages of practice Spelling Worksheets. Each level from Kindergarten through third grade has a teacher list for the whole year and includes manuscript worksheets that show the spelling for the children to copy three times. Each set has a teacher's list at the beginning (so it will look as if both files are the same - look at the file size or the number of pages). 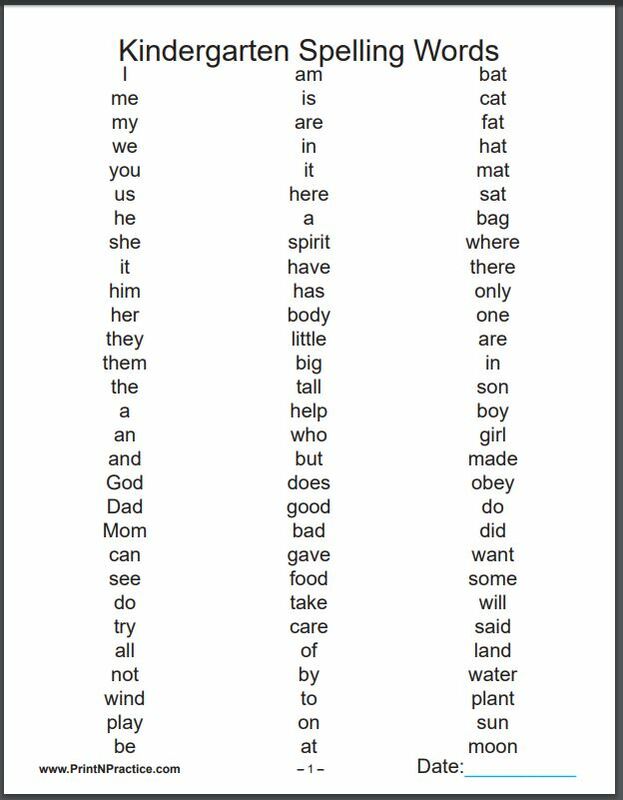 K-3 have manuscript spelling worksheets. 4-6 have cursive spelling worksheets. These spelling worksheets include space to practice each word three times. Kids simply copy the words with the correct spelling at the top. Each year's list has a truly new list of words unlike today's spelling systems that use the same list each year while adding a new suffix for subsequent years. You can print the teacher reference sheets on heavy paper or card stock to keep in your binder. This is great review and reinforcement of the correct spelling of words. The words from each grade level are from an old reader so that they are truly grade appropriate. Practice each word three times. Each level has a separate reference sheet for the teacher of that level's words. Once your children know the basic sounds they can practice their spelling words on the short vowel sounds worksheets. Teach the phonics sounds and rules in the lower grades and then offer practice spelling the words on these worksheets. Almost any child who knows the basics can learn any spelling words with sufficient practice. 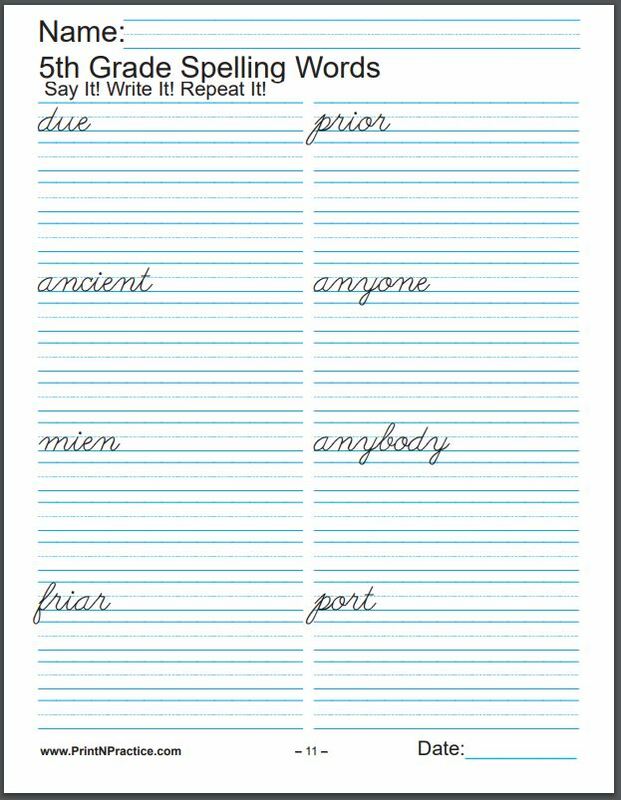 Be sure to try this trick: Old time teachers taught that the way to learn the correct spelling of words is to keep a personal spelling notebook of only the misspellings in their daily writing. This way a student can review only the troublesome words from his own spelling word lists. Why study words that you already know? You'll enjoy having these lists for honest practice writing spelling words without the torture of guess and check. Enjoy!